Metals are an essential part of our economy as core raw materials for infrastructure and manufacturing of products. Demand is expected to remain strong in the future: in developing countries because of rapid industrialization, and in developed countries because modern technologies will require the use of metals. Meanwhile renewable energy technologies – as part of the transition to an inclusive green economy – are generally more metals intensive than fossil fuel ones. 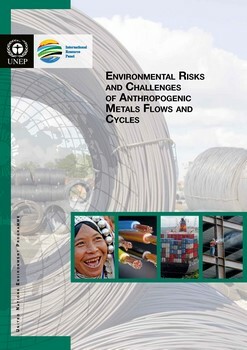 This report from the UNEP-hosted International Resource Panel gives a clear picture of the potential environmental impacts of metals at different stages of the life-cycle while linking with other areas of resource use such as water, food production and energy.